When diagnostic tools and workflow are optimized for efficiency, the entire radiology department delivers higher levels of care. By design, the Imorgon Ultrasound Enhancement System™ improves the working experience of everyone connected with ultrasound—from clinicians who conduct studies to those providing IT support. Everyone is more satisfied because the Imorgon System enables greater diagnostic insight, productivity and professionalism. 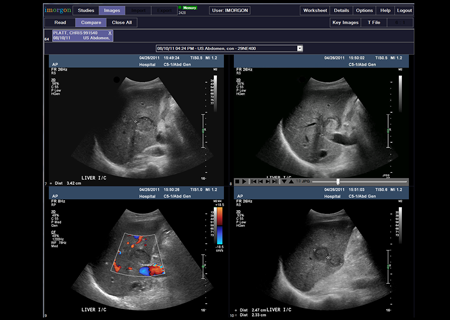 For sonographers, the Imorgon System simplifies the process of conducting exams, collecting data and documenting clinical findings. 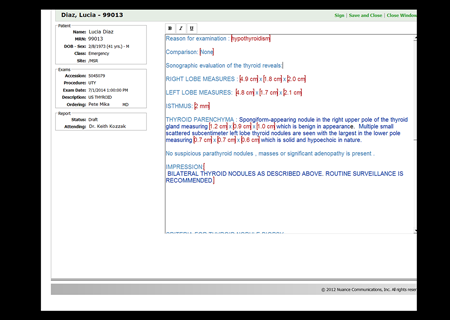 Its easy-to-use Q/C (quality control) tools improve exam quality by helping sonographers quickly correct study exceptions and erroneous patient information. 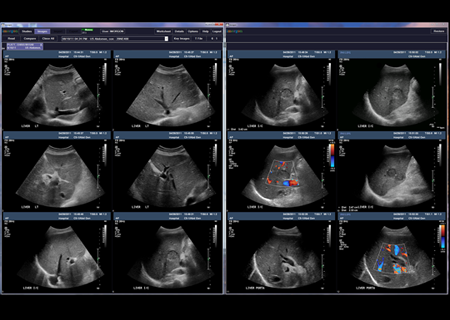 The tools also help eliminate time-consuming workarounds and IT interventions, as well as extraneous communication with radiologists to correct for onscreen misrepresentations. 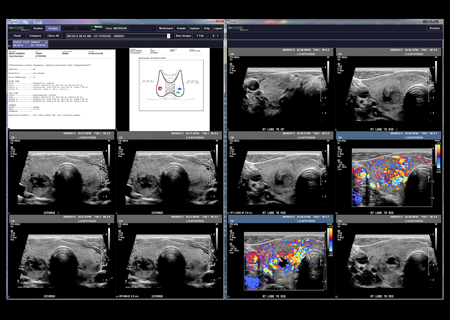 The Imorgon System streamlines the radiologist’s review process and makes ultrasound exam interpretation more intuitive and precise. Physicians see the exam in context, as a whole study, with clips and static images in interleaved acquisition order, just as the sonographer intended. Because they don’t have to mentally reconstruct the exam or make potentially erroneous assumptions, more logical, precise exam reviews result. The system’s integrated electronic reporting decreases errors associated with handwritten paper forms and manual report-dictation systems. Automatic population of measurements and text into patient drawings increases the value of these drawings as a summary report of patient conditions. The Imorgon System was designed to alleviate IT managers’ concerns about compatibility, space allocation and support. It requires little or no extra hardware and fully integrates with existing PACS. Imorgon handles most of the upfront work, deployment is quick and easy, and the system requires minimal ongoing IT department support. Static images and clips are presented in acquisition order for more efficient review. 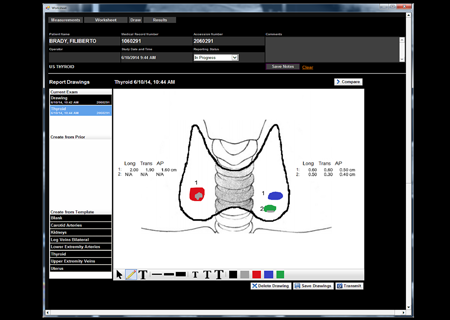 Using the Q/C workstation, sonographers can easily edit exam data and notes. 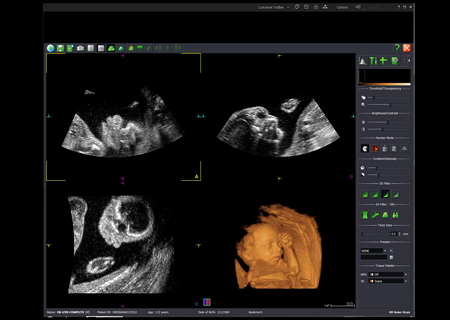 The TomTec Imaging System's application for 3D analysis launches quickly and simply. Electronic worksheets replace inefficient, error-prone handwritten ones. Drawings can be completed with a few mouse-clicks, and measurements imported automatically. Worksheets and drawings can readily be incorporated into the image set. 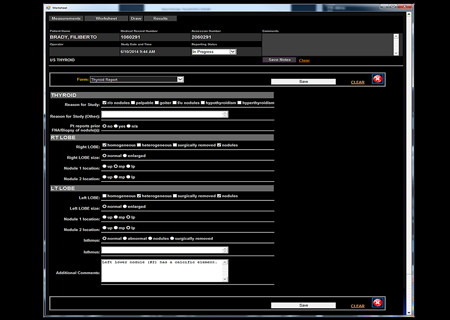 Measurements and observations transfer automatically to dictation system report templates.